A somewhat recent phenomenon that has surfaced in the society is the pursuit of purity when it comes to food. It can be seen most clearly in the preference towards organic food and non-genetically modified organisms (GMO), a movement which has been gaining momentum. This is especially apparent when it is viewed within the context of the state of the food industry today: on the whole, more and more chemicals and GMOs are being used in farming to produce the highest yield possible, thus maximizing the profits. On top of this, quick-to-make, or quick-to-purchase foods – such as junk food – are quite popular for the busy bees who do not have time or the energy to prepare meals for themselves. These meals, as we all know, are filled with preservatives and other chemicals that either produce a certain texture, or make the food taste a certain way. 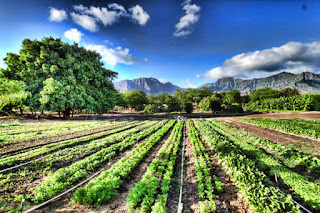 Yet, in the midst of all of this, we find a small and steadily growing group that has shied away from commercially farmed or processed foods, and is steadily striving to return back to the “original” way of preparing food: food that has been farmed without any chemical additives of any form or without any GMOs. Why this pursuit? Essentially, the argument is that all of these chemicals and food processing is bad for us. We may not at first perceive their effects, but when we look at the most common diseases today (as compared to a hundred years ago), we see that today’s commercially farmed and processed foods are hurting us. We can therefore summarize this movement in these words: we want to be physically healthy, so we make an effort to only eat pure food. This brings me to an observation: there has occurred a drastic shift from the pursuit of what is pure spiritually to what is pure physically in the past fifty years or so. By spiritual purity, I mean the adherence to the religious heritage that we profess. In the spiritual category, I also include the moral life provided by the aforementioned religious heritage, which ought to inform our everyday decisions in theory. Moral purity is a bit trickier to label, because many have rejected the moralities of traditional, organized religions and have formed their own moralities that are not without their weaknesses. Another challenge regarding morality is that many are subscribed to their religions only in a nominal fashion, while consciously choose their own morality according to their own desires. Let us return to my observation. Many are talking about organic foods and about eating healthily; it is seen today as an ideal that we should all strive for and work toward. I wholeheartedly agree with the idea behind organic and non-GMO farming. Indeed, we need to change the way we farming and process foods because we are causing great harm to ourselves. We need to change our relationship with creation: to respect it, and to use only what we need; but we cannot only remain at this level. If we review our most profound human experiences, such as moments of great joy, pain, community or worship, we realize that we are much more than just our bodies; we are also spiritual beings. But how much attention do we pay to the spiritual aspect of our lives? When was the last time you heard someone speak of spiritual purity? Purity in relationships? 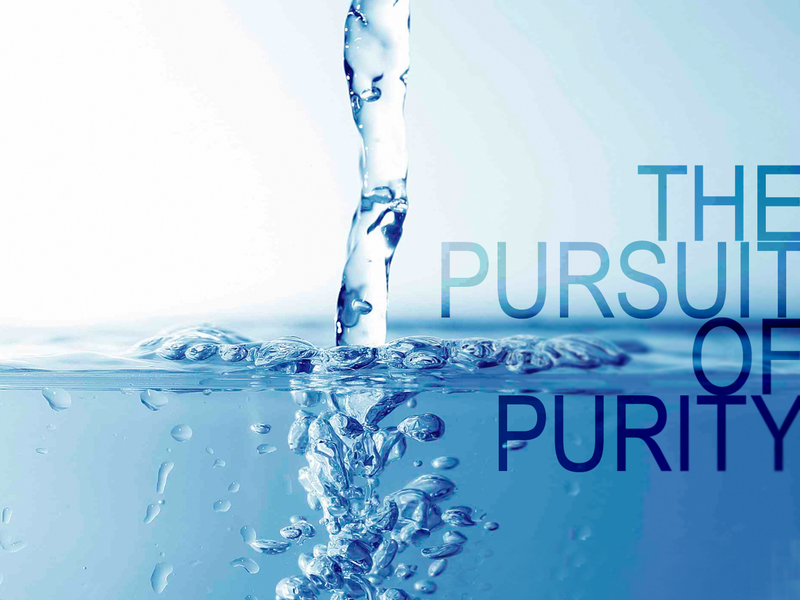 Purity towards God? As our society is becoming more and more secular, the media and consumerism have done their job in turning our focus towards material goods. Speaking of spiritual things is seen as a taboo. Striving for spiritual purity is seen as fanatical. Despite all these, it is undeniable that we human beings thirst for purity and the simplicity that comes with it. We are offered things that are corrupted, we seek its more perfected and wholesome version. After all, we even “thirst for God” as a deer that thirsts for streams of water (Ps 42:2), the God who is the source of pure beauty, goodness and truth. As such, the cura personalis (the care of the whole person) must include the physical and the spiritual. The pursuit of purity ought to be in both the material and in the spiritual domain. We as created persons in the image and likeness of God are so perfectly bi-substantial (both spirit and matter) that we get unwell if we neglect one or the other. 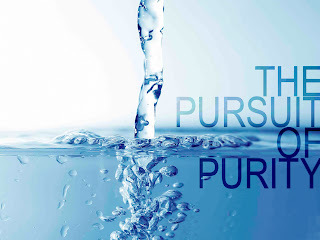 Let our thirst for purity also include moral and spiritual purity! Let us consider what toxins are present in our souls and in our relationships! And most importantly, let us hold on to God as our ultimate saviour rather than the purity of our food, which only feeds the body that will eventually perish.